Selecting a single board computer (SBC)? Pandaboard, Hawkboard, Leopardboard, Raspberry Pi, Orange Pi, Banana Pi… It is not so easy to be oriented in the current offer of different animal and fruit boards. A coherent review site that would thoroughly examine single-board computers, offering standard and comparable benchmarks and rankings probably does not exist. When I’m selecting a new single-board computer I’m struggling with some missing information constantly. Also, a visual representation of a board just using the photo is uncomfortable, because different important parts of the computer (mainly the fronts of the connectors) can be seen only from some narrow angles. 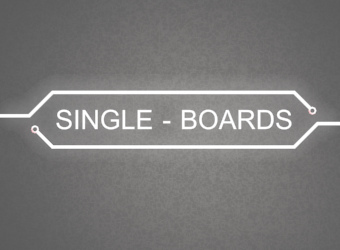 Hence a new webpage is born – single-boards.com , with the clear task to review single-board computers. Mostly it will be reviewing SBCs that pass my hands because of some project (OK, I have exorbitant amount of SBCs in drawer already and this saturated drawer is actually one of the reasons I’ve started the site in the first place :)). Web will stick to the rule of providing mutually comparable benchmarks for the boards and also performing consumption tests for every board under the same conditions. There will be also a 3D model (WebGL) of the board for the majority of reviewed SBCs to allow checking of the hardware peripheries of the board comfortably.